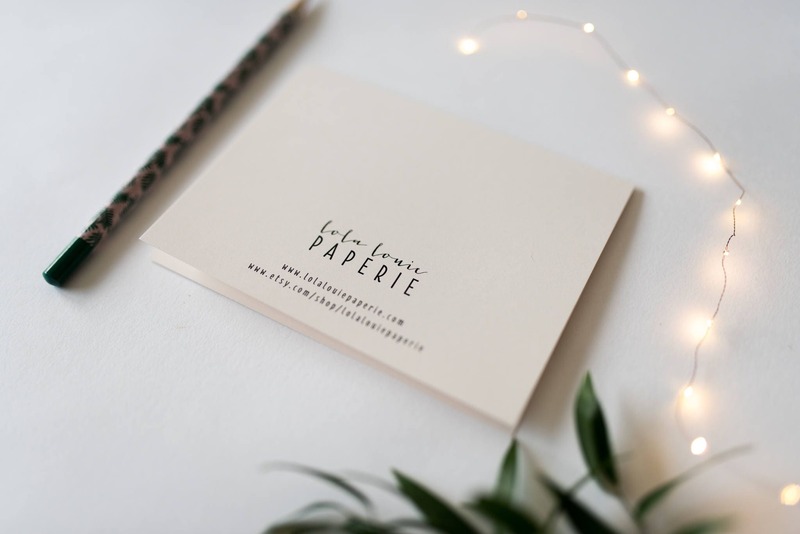 All of our stationery is printed on premium 100 lb. ivory stock. 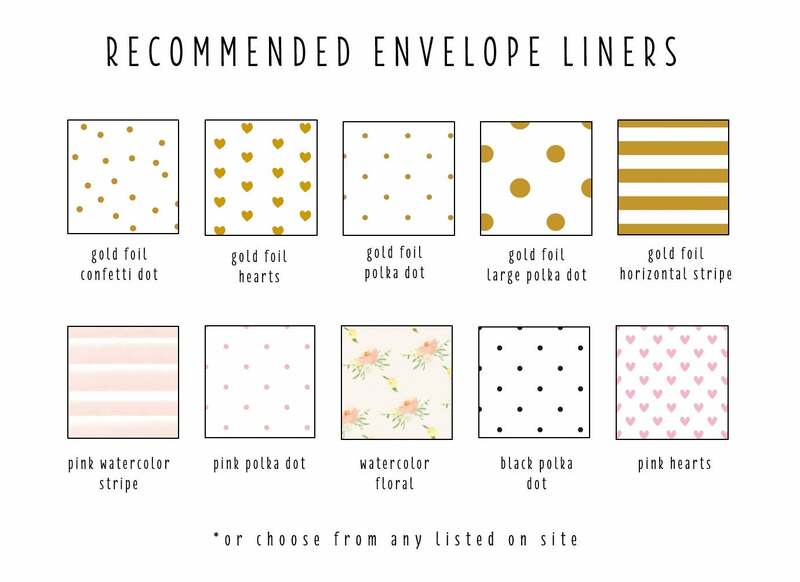 You can choose from any envelope liner shown on slide #6 or any you see in my shop. 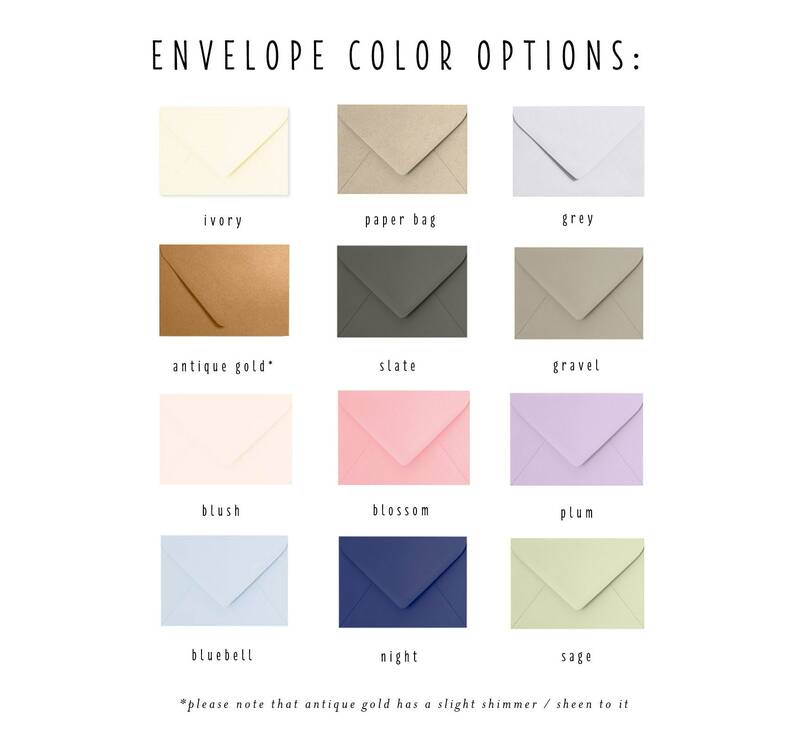 In addition, you can choose from any envelope color shown on slide #5. 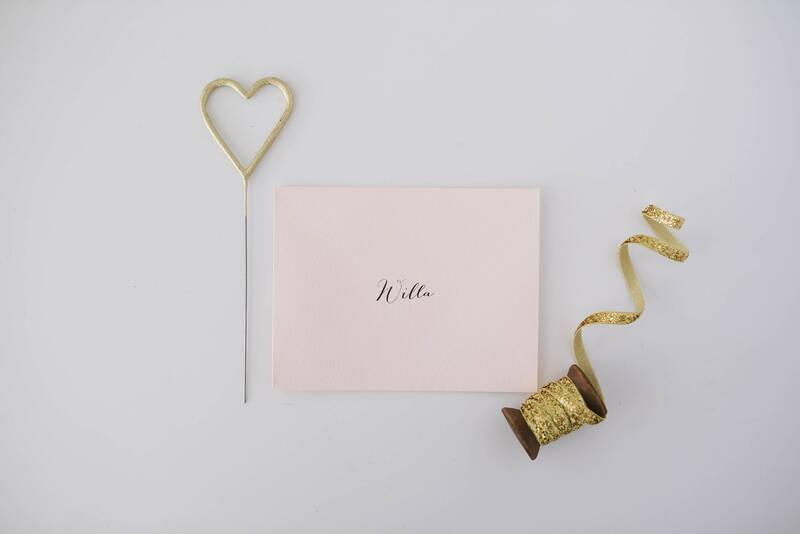 The sample is shown in blush with a gold foil polka dot liner. 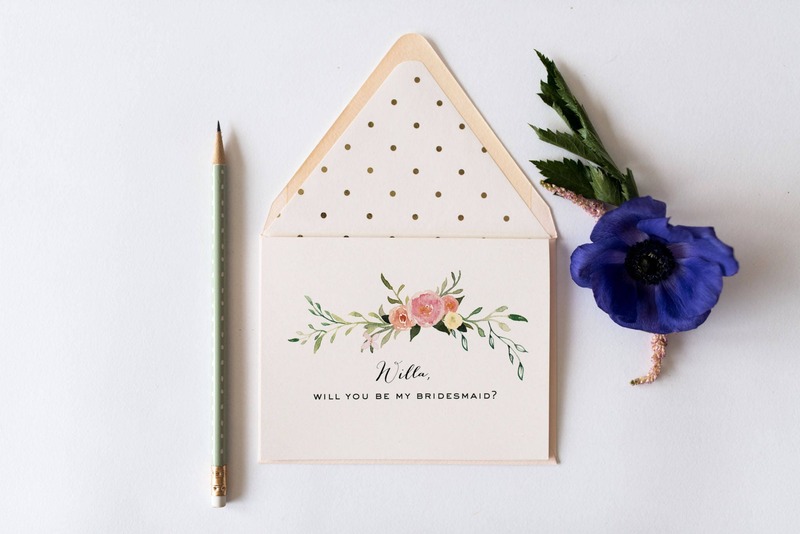 These were so cute and perfect for bridesmaid proposals! 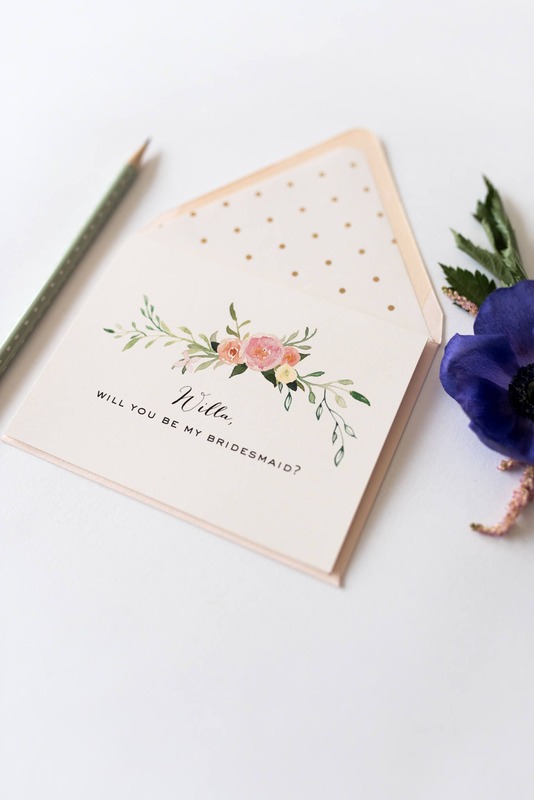 Beautiful, heavier weighted cards. 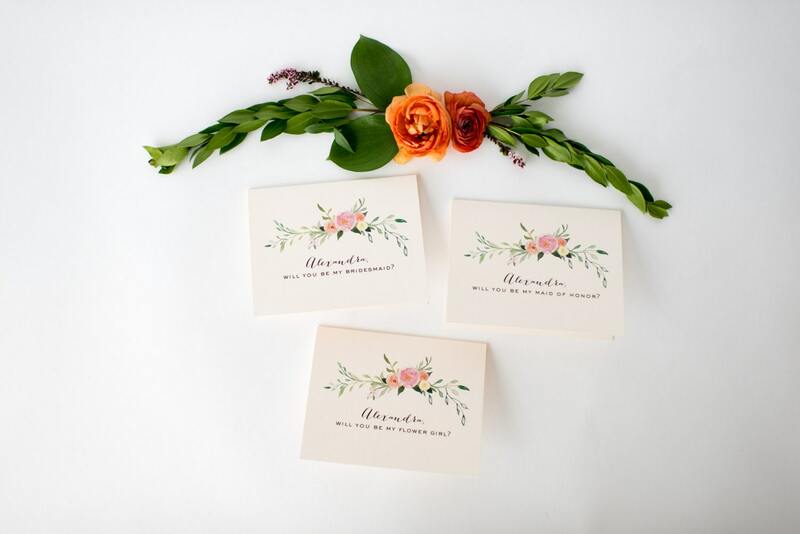 My bridesmaids loved them!